Yes, it is possible for our patients to walk out of our centers with a beautiful smile in just one day! Yes, the Renew removable overdenture — anchored by dental implants — is an affordable solution for many. Time and time again, we get asked “what is the cost of anchored dentures?” Also: “Are they affordable?” (Compare the cost of traditional dentures with our anchored denture solution here.) Our full-mouth restoration procedure is based on newly fabricated dentures being attached to dental implants in the upper and lower jawbones. You get all of the benefits that come with snap-in dentures — and a new smile — all at a reasonable price, supported by available financing plans. Quality is important to you, and we guarantee that our centers use the highest quality materials and leading-edge techniques, including the Renew Anchored Denture System with titanium dental implants, to ensure the best results. Whether you live in the Denver area, Colorado Springs, or Minneapolis, don’t settle for lower quality dentures advertised at bargain prices. Come visit us in Northwest Denver, Southeast Denver, or Colorado Springs to find out why Renew is a better option. We are pleased to be opening offices in Minneapolis-St. Paul in 2019. We understand how hard it can be to live each and every day struggling with your teeth or having to deal with ill-fitting removable dentures. Come see and feel how the Renew dental implant anchored denture systems can make a difference. Our team’s collective expertise brings to patients over 80 years of experience. We’ve been helping the good people of Colorado regain confidence for decades. You can trust that you will be getting the highest quality care from leaders in the dental implant retained dentures industry. It’s time to Renew your Smile! 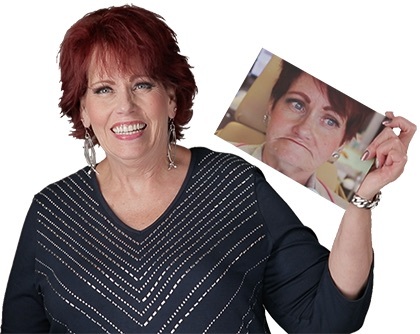 Learn how you can change your life with anchored dentures. Supported by Dental Implant Anchored Dentures!